When do you need corrective color treatments? Box Dye Botch Ups – Every day we see commercials for new and improved permanent and semi-permanent hair colors. Although there are some relatively good over the counter box dyes, they don’t come with a competent stylist inside the wrapper. It can be relatively easy to choose a shade that ends up scaring you after taking off the cap. Impulsive Idea Colors – That splashy color looked great on Lady GaGa and it seemed like a good look for you until you were done and forced to wear that cover up scarf until you figured out how to fix it. "Got The Right Color But It’s Way Too Dark" – your eyes were good, but again, the stylist wasn’t there to see you through the process and your brown looks black now or your red is redder than you ever thought possible! 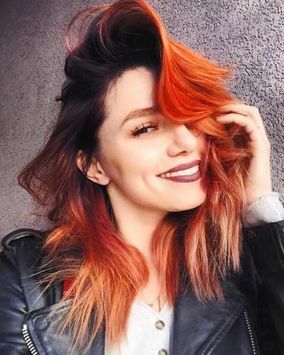 Decided To Go Blonde, But Ended Up Orangey-Yellow – Your natural hair color requires specific products and some expertise to make the journey to blonde. Without this knowledge, the same exact dye used for one kind of hair could look completely different in another. Highlight Havoc – Highlight havoc can range from looking faded, being too thick, too brassy, being too visible or even invisible. Colorists never recommend self-highlights due to the fact they are extremely difficult to get right! If anything above resembles your hair, take heart. Help is available. A Zen Salon & Spa is ready, willing and able to work with your hair disaster and give you back a look you can be proud of. Our Colorado Springs Salon employs responsible, experienced stylists who have saved many heads of hair. Our hair technicians will sit down and discuss what hair colors, treatments and techniques would be best for your hair challenge. 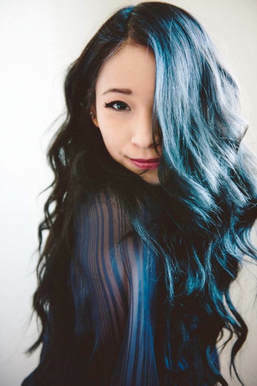 A Zen Salon & Spa is the place to go to get your hair coloring in Colorado Springs! If you’re looking for a Colorado Springs Salon to provide immediate help with your hair, call and make your appointment today to experience our top-notch service for your hair needs. We want to see you smile!